Simple, quick spring time meal. It’s always good to have a quick taco recipe on hand. Enjoy! Char tortillas on stove-top if desired. Add some of the chicken to the warmed tortillas. Top with avocado and cilantro sauce. Or serve over spring greens. 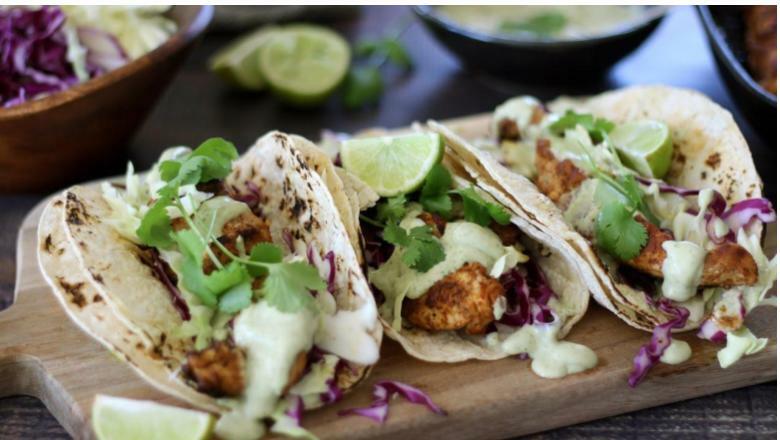 Recipe from: https://gimmedelicious.com/2018/04/18/chicken-and-avocado-taco/ Serves 4.